See Chris Malta’s ‘Wholesale Tips’ video series. Video tip 12 will teach you what ‘MSRP’ stands for AND how it impacts your ‘ecommerce’ business. 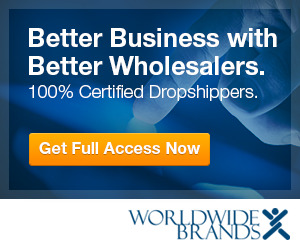 If you have an online retail or home business, you need to be able to effectively communicate with your wholesale suppliers and ‘potential’ wholesale suppliers. That’s how you make the most of your supplier relationships. You need to speak their language, which means understanding the ‘wholesale’ jargon and industry terminology they throw around. When you know what suppliers are saying, you can approach them with confidence. Learn the terms that you’ll frequently come across when you work with wholesalers and dropshippers, in ‘Wholesale Tips’ 11-20.